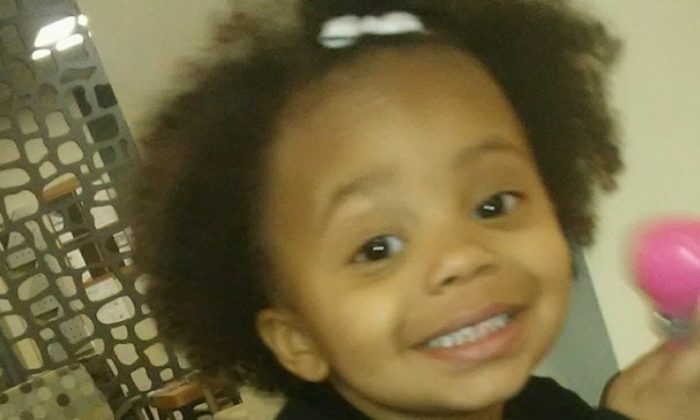 Ohio police identified the two-year-old toddler found frozen on the porch of her Akron home on Friday, Feb. 2, as Wynter Parker. Wynter’s mom reportedly left the girl in the care of her father to carry out some errands. The dad fell asleep since he works night shifts. In the meantime, Wynter wandered outside without a hat, coat or gloves, Daily Mail reported. The girl’s mom called 911 after she discovered the child on the front porch. “She’s frozen! She’s frozen!” the mom screamed in anguish in a 911 call. The 911 dispatcher instructed her to perform CPR and she did so until the ambulance arrived. “What’s taking so long?” the mother asked at one point, according to Akron Beacon Journal. The child died after paramedics rushed her to Akron Children’s Hospital. No charges have been filed against either parent while the investigation continues. The medical examiner reported that Wynter died of severe hypothermia. The results of the autopsy are not yet available. Neighbors began to bring stuffed animals to Wynter’s home and formed a makeshift memorial. Some neighbors said they often saw the children outside and had to bring them back to their home. “I cried because I just don’t understand how a 2-year-old could be outside and you not know,” Lucas told KTRK. The temperatures in Akron ranged from 12 to 19 degrees on Friday. 1. Be sure children wear layers of clothes to keep warm. 2. Monitor how long children are outside. Shivering or chattering teeth is a sign that it’s time to go in. 3. Make sure kids stay hydrated. 4. Wear helmets when skiing, snowboarding, or snowmobiling. 5. Make sure car seat harnesses are properly adjusted for bulkier winter clothing or consider taking off snowsuits or coats in the car, buckling the child in and covering him or her with a blanket. Then, put on the snowsuit or coat upon arrival.